Move over canvas, move over metal. Acrylic glass is where it's at. 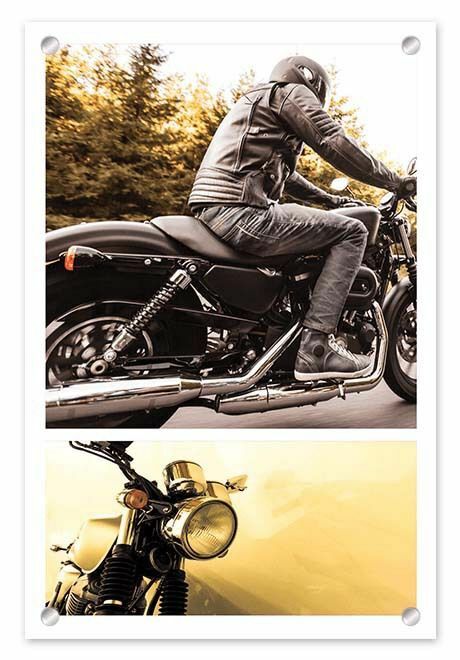 There is only one thing better than glass prints - acrylic glass prints. Here we share all the reasons acrylic glass photo art is every interior decorator's dream. Just a warning - you won't be able to walk away without buying one! If you want to freshen up a dull space, printing to acrylic glass is your answer. The extra trick lies in choosing the right photo. There's something cleansing about acrylic glass art. While floor to ceiling glass windows bring the outside world inside, acrylic glass photo prints bring your favorite world inside. If you want to give a room a clean, fresh feel, it's important to choose the right photo to print onto our stunning acrylic glass material. To freshen a space, choose only crisp, high resolution photos that have plenty of wholesome color and sunshine. Brights and primary colors work well. Pastels and black and white prints can also work, but not if your goal is to breathe new life into a room! This modish collage design is one of our most innovative styles - it is very NOW! While canvas can calm a room and metal can glam up a space, acrylic glass can cleanse. So choose your photo carefully and you'll be enjoying that clean, fresh feeling in no time. 2. Let it shine, let it shine, let it shine! 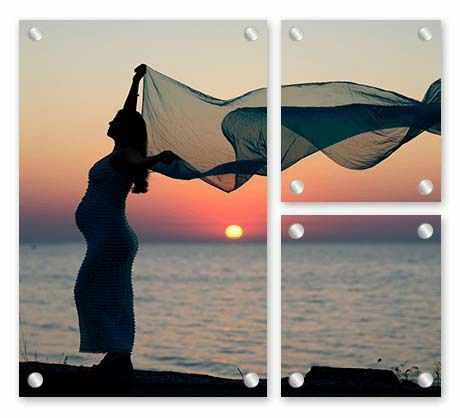 Take a top photo and let it shine in spectacular acrylic glass. To truly dazzle, split the image across nine acrylic glass frames. 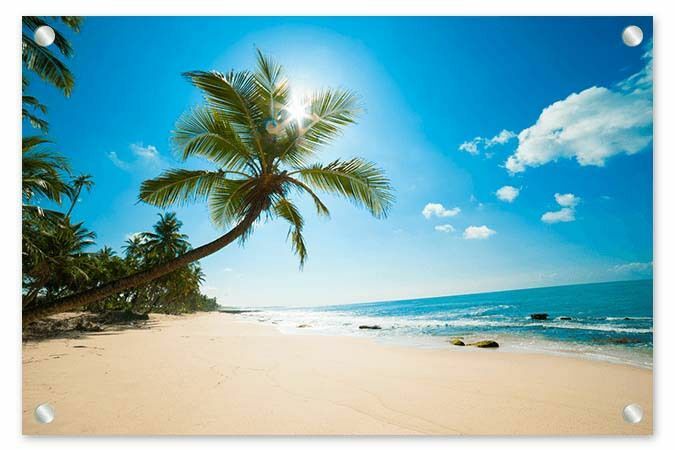 Glass reflects light, so whether it's sunlight or artificial light, your acrylic glass prints will bounce light, giving your photo art the most extraordinary sparkle of life. 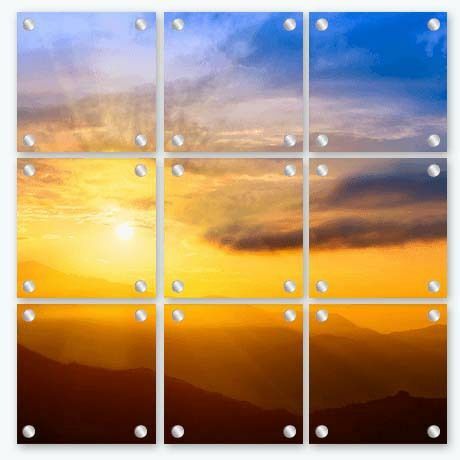 Sunset and sunrise photos or anything with an energetic glow will be given 'get up and go' when printed on acyrlic glass. Printing as a single frame will create faultless lines that truly gleam, but there's something about a split image print on acrylic glass that seems to burst with radiance. To truly encourage your acrylic glass art to gleam, mount it in the kitchen or bathroom - or any room with plenty of lighting. Layering your lighting, for example using recess lighting, wall lighting, floor lamps and table lamps, will provide a myriad of opportunities for your acrylic glass art to shine. Compared to heavy, chunky timber framing, acrylic glass is light in the hand and on the pocket. One of the wonders of printing to acrylic glass is that it's a very lightweight material that doesn't require massive mounting hooks to get it to hang on the wall. The second wonder is that, despite creating such a beautiful and refined result, it's extremely affordable. If you've gone to have anything framed lately, you'll know what we mean! 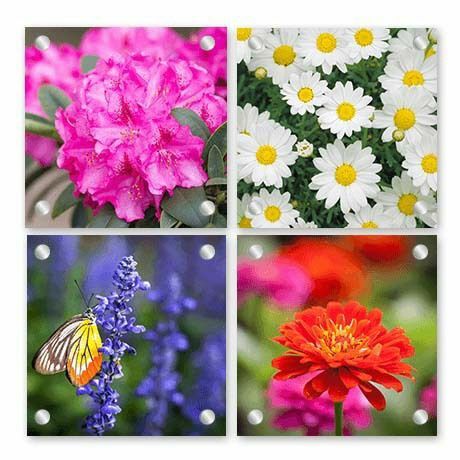 Rather than print your garden photos onto photo paper then framing them, you can instead print these beauties directly onto a wall display. Simply use our online CanvasApp to upload your photos and we'll do the rest. Printing on acrylic glass is an amazing interior design solution for areas where artwork is usually shunned - kitchens, bathrooms and laundries. 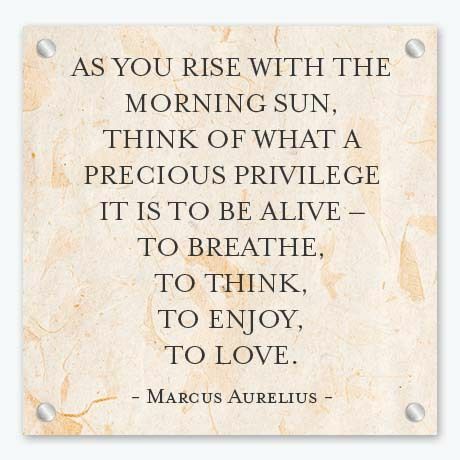 We think an inspiration quote is a wonderful choice for wet rooms. Unlike canvas, it's OK if a few splashes make their way to your acrylic glass print as it features 100% moisture protection. Bathrooms are often where you start and finish your day. Kitchens and laundries are all about housework. What better place for an inspiration quote or exhilarating work of art? To create your own quote, design an image using Canva. With acrylic glass art, you can endure the day while it's busy enduring the weather. Acrylic glass art is regularly used by photographers when showcasing their work. We've now made gallery quality printing accessible to everyone. No matter what photo (or photos) you choose, your home will transform into a picture perfect showcase - the envy of all who visit. When printing to acrylic glass, you can feel like you're creating a work of high art. Recently wed? We spend so much money on the best of event decor, the best of outfits, the best of hair and makeup so our wedding photography capture our special day in the most amazing way possible. Imagine those professional and extraordinary wedding photos being given the gallery treatment? 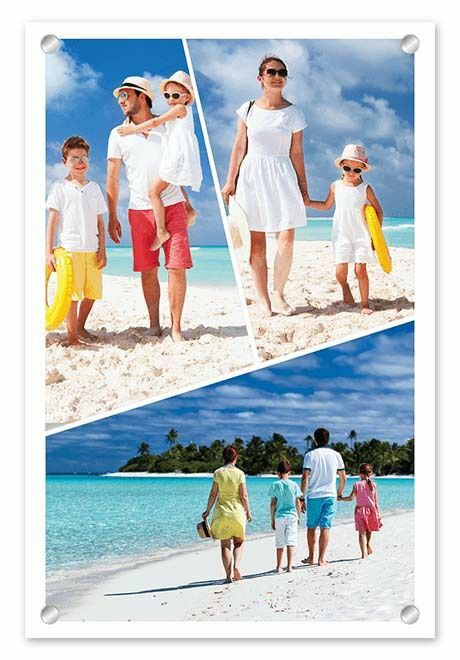 For something truly special and seamless, choose an acrylic glass print. When we talk glass, we talk acrylic glass. It's not the poor second cousin to glass, it's the superior material. There's nothing worse than mounting a photo in a glass frame, hanging it in the bathroom and watching it fall and shatter into a million pieces while you're standing their barefoot. We've all been there. And if you haven't, you don't want to go there. Quite simply, acrylic glass is better than glass because it doesn't break, making it wonderful for families with kids. Children and glass do not mix! What's wonderful about acrylic glass is that it has all the qualities of glass - it's fresh, shiny, lightweight and durable. Have you noticed how the sun's rays on glass can reflect and create a blinding glare? No so with acrylic. You can't go wrong with plexiglass. Rather than catching the light and bouncing it back at you right in your eyes, it softens it first then simply provides a gorgeous gleam. We often say printing on brushed aluminum provides a masculine finish men love. But acrylic glass is better than metal for wet areas, so if he's after something for behind the bar then plexiglass is his friend. Besides, who wants glare in your eyes when you're trying to pour a drink? Printing onto acrylic glass gives you the opportunity to enjoy the natural light coming into a family room, kitchen area, hallway or retreat rather than dodge it. Why be forced to close a curtain in your favorite room just because of an unweildly reflection from a glass print? Why ruin the enjoyment of what would otherwise be a perfectly good print? 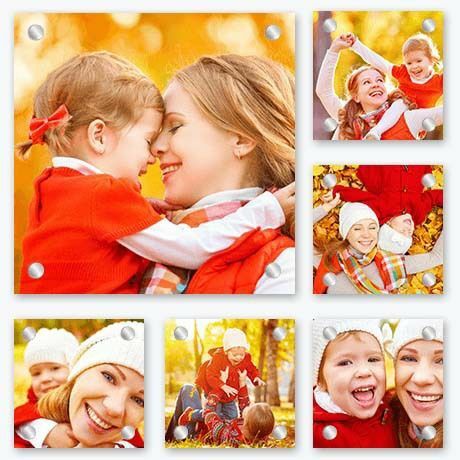 Printing your photos to acrylic glass means you can enjoy your artwork any time of the night or day. Say no to glare and yes to acrylic glass today. Printing to acrylic glass means you can hang photo art in sunny indoor areas like kitchens, living rooms and bedrooms without fear of fading. Sure, all photo prints fade over time, but if you print onto acrylic glass you're delaying the inevitable for many moons to come. While we apply coating to all our canvas prints to protect from UV damage, acrylic glass is even more durable as it provides UV protection typically between 70% to 98%. 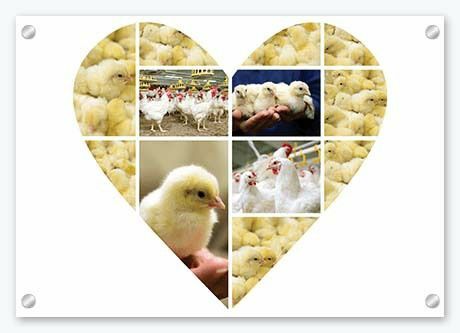 Acrylic glass is all about brightening your life and there are few things brighter than a heart collage covered in cute yellow chicks!